The results of the November exams released on Tuesday and obtained by the Star indicate that out of about 1,500 candidates, only 290 qualified. That means only 18 per cent of those who sat the one-year post-graduate diploma programme qualify to practise law. The rest will re-sit. This is nothing new. A report by a task force chaired by lawyer Fred Ojiambo released in 2017 shows that from 2009 to 2016 only 7,530 out of 16,086 students passed the bar exams while 8,549 failed. That is a failure rate of 53 per cent. 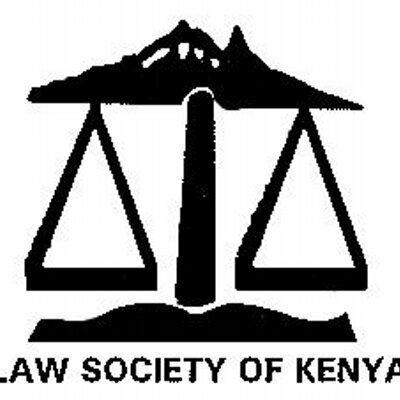 The worrying trend has forced the Law Society of Kenya to start investigations into the mass failure. Chief executive Mercy Wambua told the Star yesterday a task force set up in May last year to investigate the issue is expected to hand in its report in three weeks. “This matter has continued to shock us and we are keen to get to the bottom of it,” she said. The task force chaired by lawyer Esther Chege was set up in line with a judgment issued in 2017 by Justice John Mativo who ordered investigations into the large number of failures at KSL. Those who fail are allowed to re-take the exams within five years. The statistics indicate that of all the 1,628 students who re-sat the exams, only 186 passed. That means a staggering 89 per cent of students sitting the exams for at least the second time failed. KSL is the only bar school in Kenya. Its exams are set and marked by the Council for Legal Education. Students who will opt to have their scripts remarked will have to fork out Sh64 million in total. Re-sitting a single paper costs Sh10,000 while a re-mark is Sh15,000. There are nine papers. Students who failed the re-sit will make KSL and CLE Sh27 million richer if they want to re-take the papers. “An 18 per cent pass rate is deplorable and doesn’t portend any good. If you are a trainer and you can only post 18 per cent pass then you shouldn’t be proud,” Andrian Kamotho, a student leader at KSL, told the Star He says there is a disconnect between what is taught and what is examined. “Learning should be a process where knowledge taught and acquired informs the assessment but what is happening is like being taught engineering then you are an examined for medicine,” he Kamotho said. Yesterday, KSL chief executive officer Henry Mutai said claims of high failure rates are misleading. He however said following outcry in 2017 the school has contracted the Kenya Institute for Public Policy Research and Analysis to carry out an independent evaluation. “It is hoped that the study, which will take three months, will give a true picture of the situation, identify the relevant factors and make recommendations to guide the school and other stakeholders in their activities,” Mutai told the Star. But lawyer Okalle Makanda said the failure is deliberately aimed at controlling who joins the legal profession. “It can’t be that students who throughout their learning have been high performers can just become dump at a post-graduate diploma level. It’s unfair. Some elitist forces in the legal profession are using backdoor methods to determine who joins their club. This will lock out sons and daughters of the poor,” he said. After completion of an undergraduate degree in law, it’s a mandatory for students to get admission to KSL to be entered into the roll of advocates. Last year’s results showed some students failed all the nine units offered. The worst failure at 60 per cent was on Conveyancing for students sitting the exams for the first time. Other units recording poor scores for first timers were Commercial Transactions ( 55 per cent fail), Legal Practice Management ( 48.5 per cent) and Legal Writing and Drafting ( 48.5 per cent). In the re-sit exams category, 92.5 per cent of the 906 students who sat the Commercial Transactions paper failed. The results indicate that 93.5 per cent of the 519 students who re-sat the Legal Writing and Drafting unit failed. The mass failure has elicited questions on the quality of students being churned out by universities. In September 2015, the Council for Legal Education declared Moi University, one of Kenya’s oldest universities, unfit to teach law for being poorly equipped and having inadequate staff.